Additional Sessions Judge Lokesh Kumar Sharma termed as "harsh" the jail term awarded by a magisterial court to 31- year-old Vivek Srivastava for drunken driving and reduced it to till the rising of the court while noting that the quantity of alcohol in his blood was found to be 68.8 mg/100 ml. 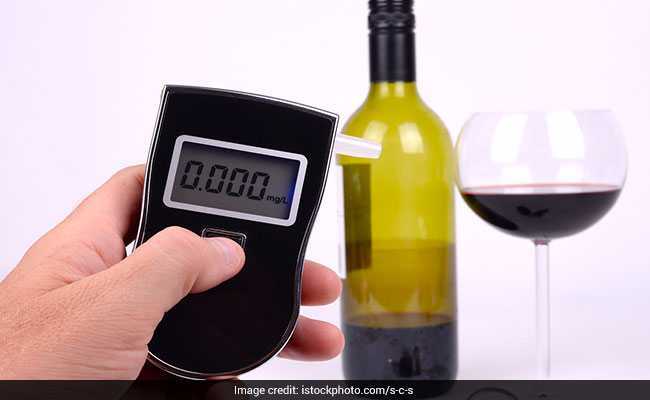 New Delhi: All electronic devices, including breath analysers, do not give 100 per cent accurate results and error is bound to occur, a Delhi court has said while setting aside the two-day jail term awarded to man in a drunken driving case. "Perusal of the impugned order reflects that the magistrate had not considered the calibration report in respect of breath analyser used in this case, nor he had taken into consideration the margin of error which is bound to occur in an electronic or electrical device as no manufacturer can claim about 100 per cent accuracy in the results. "Keeping in view the overall facts and circumstances and also keeping in view the other cases where the contents of alcohol found in the body of the other violators had ranged between 300 to 500 mg/100 ml, I am of the view that sentence of simple imprisonment as awarded by the magistrate for two days was bit on a higher and harsher side," the judge said. A magisterial court had on June 3, 2017 awarded him two day jail term for the offence of drunken driving under section 185 of the Motor Vehicle Act. It had also imposed a fine of Rs 2,000 on him which he has already paid. In his appeal against the order, the convict had pleaded for mercy on the ground that he was the sole bread earner and had to take care of his wife.